Join us in Pilates, Yoga and SUP Yoga retreat in the magical island Ibiza, 19-26 May 2018. 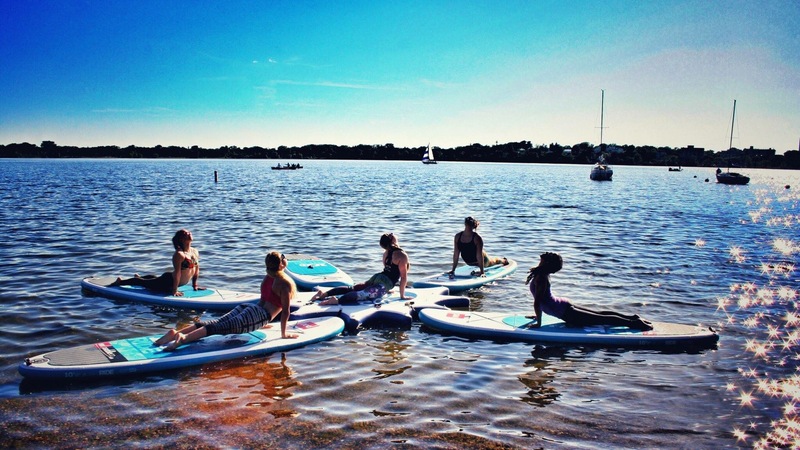 Stand Up Paddle (SUP) Yoga is een ideale combinatie om lichaam en geest in balans te brengen. Het is een unieke manier om verbinding te maken met de natuur, zowel binnen als rondom zichzelf. Naast de bekende voordelen van yoga, verhoogt het ook de flexibiliteit, coördinatie en kernspiersterkte die nodig is om het evenwicht op het SUP-bord te behouden, wat een enorm gevoel van rust en harmonie oplevert, omringd door een uitzonderlijke omgeving, de zee en de natuur. Deze activiteit wordt beoefend drijvend op kalm water van de prachtige stranden en baaien op het eiland Ibiza tijdens onze retreat op 19-26 mei 2018. Voor meer informatie en inschrijving stuur snel email via Contact pagina, want er zijn nog enkele plaatsen vrij! These six Pilates principles are essential ingredients in a high-quality Pilates workout. The Pilates method has always emphasized quality over quantity, and you will find that, unlike many systems of exercise, Pilates exercises do not include a lot of repetitions for each move. Instead, doing each exercise fully, with precision, yields significant results in a shorter time than one would ever imagine. Core strength and torso stability, along with the six Pilates principles, set the Pilates method apart from many other types of exercise. Weight lifting, for example, can put a lot of attention on arm or leg strength without attending much to the fact that those parts are connected to the rest of the body. Even running or swimming can seem like all arms and legs, with either a floppy or overly tense core. Ultimately those who really succeed at their sport learn to use their core muscles, but in Pilates, this integrative approach is learned from the beginning. Pilates exercises are done on either on a mat on the floor, Pilates mat work, or on exercise equipment developed by Joseph Pilates. The workout equipment that we use in Pilates generally utilizes pulleys and resistance from the participants own body weight on the machine and graduated levels of springs. 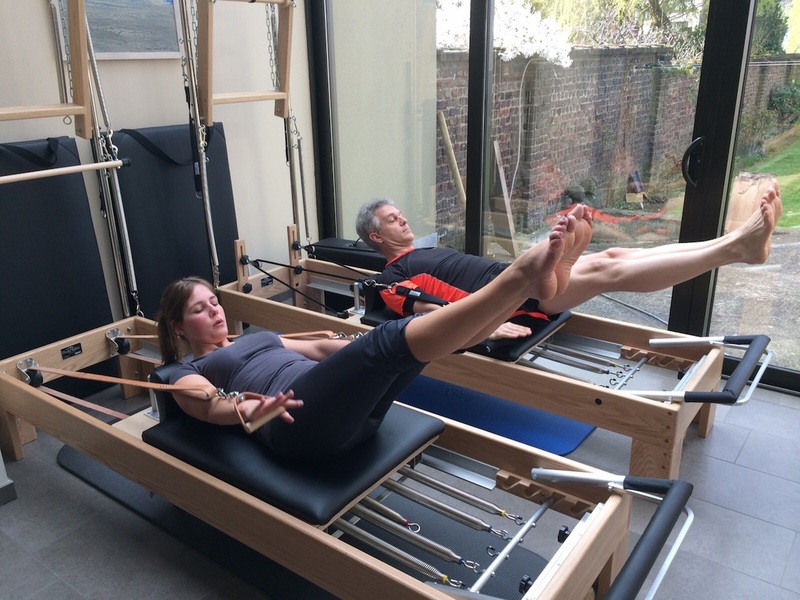 The reformer is probably the best-known piece of resistance equipment that you will encounter at a Pilates studio. Can pilates and yoga thrive as independent practices? Yes, of course. Can a yoga practice be improved and enhanced physically through pilates? ABSOLUTELY and vice versa. Rather than upholding separatist tendencies between yoga and pilates, let pilates become your new favorite ally of asanas. In pilates, every part of the regimen revolves around the “core”. 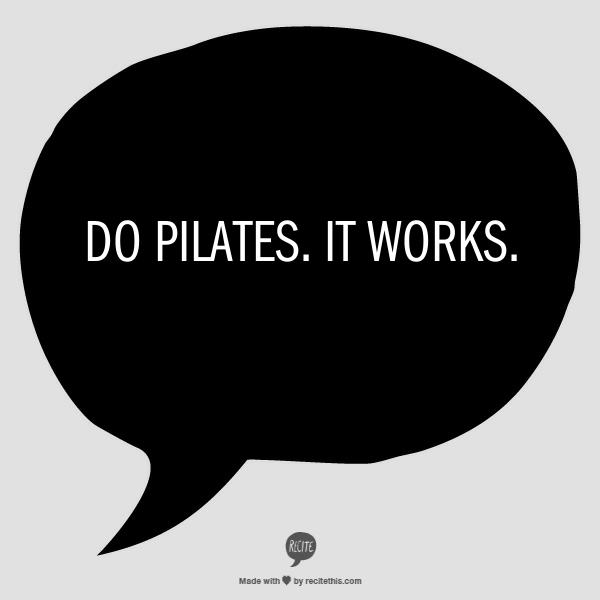 Joseph Pilates often referred to the core as the “powerhouse,” the abdominals, lower back and pelvic floor musculature, that, when activated, provide a solid base of support for steady movement. Not only does a strong core make for a safer practice, a yogi needs an unwavering foundation to take on the challenges of arm balances, inversions, and backbends. To activate the muscles needed for yoga, they need to be strengthened, lengthened, and toned throughout your body’s range of motion. 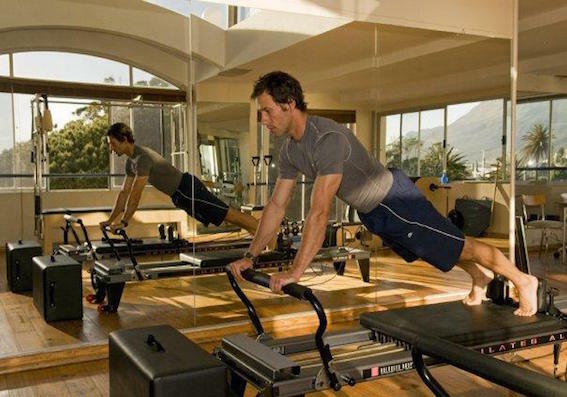 The pilates Reformer machine, a piece of equipment built with a carriage platform upon which to lie, sit, or stand on while working spring resistance in varying degrees of tension, is built to induce exactly this type of lean, mean muscle tone in a variety of positions. Vinyasa on the reformer, anyone? The Reformer Long Stretch Series is just that: A sequence including Long Stretch (plank), Down Stretch (Upward Facing Dog) and Up Stretch (Vinyasa into Downward Dog) and Arabesque (Three Legged Downward Dog). This series is performed with spring resistance to deepen range of motion and accentuate muscle elongation and strength of the arms, legs, back and core. Translate this kind of work onto your yoga mat and notice how much stronger you feel the next time you do Vinyasa. Pilates is often referred to as the “Art of Contrology.” It takes a tremendous amount of integrative body awareness to directly target muscle activation flanked by optimal form and alignment. While many yogis love to let go and flow, having a keen sense of focus and control of movement mechanics provides support for a fluid practice. Take the move call “the Teaser” in pilates, a show stopper of ultimate control. While the teaser is movement-driven, Boat Pose (Navasana), its yoga counterpart, is often simply held… For a long time. Both require tremendous control over the arms, legs, back and core, so that you don’t turn into a wobbly mess. From movement into stillness, the Teaser is Navasana’s soul sister of motor control, stirring peak pose euphoria. Regularly performing Pilates Teasers will result in an expert Navasana practice, while also supporting other poses that require secure balance and precision, such as Bakasana (Crow pose) or a Headstand.